Finding focus with a conscious awareness! It all started with me rushing through an airport thinking about the long flight ahead of me and how I should utilise the time constructively to fill my mind. In other words not to sit and do nothing. I hurriedly scanned over the shelves of the business section and “The Mindful International Manager” caught my eye. That was a couple of years ago. I still haven’t read the book. On that flight I ended up doing exactly what so many people (especially my mother) had warned me not to do. I did nothing. I allowed my mind to drift into the busy-ness of passengers settling in for the 11hr flight and the sound of the cabin crew preparing the evening meal which lulled me to sleep. I missed dinner. Damn. Getting back to being “mindful”. It’s all over the place. Business, parenting, training, coaching – everything can be done better if you do it with mindfulness. So I became mindful about being mindful and filled my mind with various opinions on the subject ranging from business to psychotherapy and personal blogs. 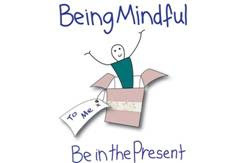 This is what they have to say: Mindful is based on an old practice (Buddhism) which is now supported by medics and scientists – I love it when this happens! It’s the “science” of finding focus in a stressed out, multi-tasking culture – being consciously aware. Mindfulness has made it onto the cover of Time and Forbes; companies like Google and Apple are providing mindful courses and training for their employees with, needless to add, phenomenal ROI (return on investment)! Here’s what I have to say: If more of us spent more time doing more “mind-less” things rather than being so focussed on having our minds full all the time (in the car, restaurant, with friends and family) more of us would be more mindful of others and events around us. There is great value (and good health) in focussing on the here and now. Confirming limiting beliefs with statements like “I’ll be happy/successful/content when…” is simply deferring happy-ness. Sometimes, in order to move forward, it is necessary to retreat. Sometimes, in order to make progress we need to slow down. We sleep to rest, regenerate and grow. Think babies (or dogs)! Otherwise think emotional burnout or heart attack. 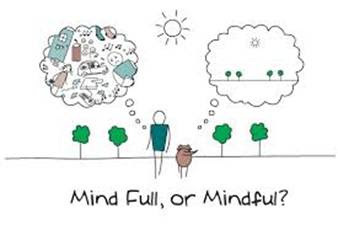 In order to be mindful, we need to “empty” our minds. We need to focus more on the present. It’s in the word itself, the present is a gift. The past is done and gone. The future is an unknown which you and I have no control over. We have the present. Free up, let go, and keep your hands and arms open to receive more of the new! Roll on Summer! I cannot wait to fill my days with doing nothing. Focussing on the song of blackbirds, water splashing into my fish pond, bees buzzing around my lavender blooms and who knows… being in the African bush once more to listen to the rasping sound of rhino grazing grass – the sound of nature. The sound of calm. The sound of now. I go to nature to have my senses put in order. I wish you an awesome summer filled with doing less, lots of presence as well as plenty of mindfulness!